The Point View resort story goes back 50 years. There have been a lot of changes in that time but the comfortable, welcoming atmosphere has stayed the same. We have always been family owned, and are proud to carry on the traditions of the families that came before us. Sal and Glenda Cessor passed the torch to us at the end of 2017, and we are so excited to be part of the Point View legacy. We know that vacations should be relaxing and carefree, and we do our best to give our guests that experience. We make improvements to the property every year to ensure that everything is in tip-top shape. We are dedicated to making Point View resort your home away from home, and will strive to make your stay with us relaxing and stress free. Tucked back on the quiet Little Niangua, the resort is located on a point of flat ground and surrounded by 800 feet of shoreline. Well-manicured and easy to navigate, you can experience the lake your way. Gradually sloping sandy beaches allow you to swim and float with easy. Those who want a little more adventure can jump right in off the swimming dock, or play on the huge water trampoline. Reclining loungers on the water’s edge and a variety of casual outdoor games let you enjoy the dry side of lake life. 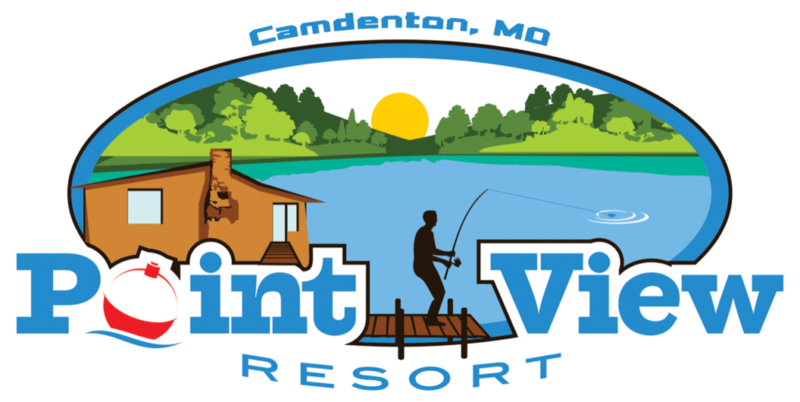 If fishing is your thing, Point View Resort is your place. Our water is deep and calm, and the fishing is some of the best in Missouri. We have three fishing docks, including an outdoor/heated indoor dock with well maintained-crappie beds. All docks have cleaning stations, so you can fillet your catch right on the spot. Seasoned angler or first time fisherman, we have just the place for you to drop your line. Our cabins are all updated, comfortable, and clean. Full kitchens, roomy sitting areas, and comfortable beds make your time inside as enjoyable as being outside. And no need to bring your own cooking utensils or bath towels. You will find them all neatly supplied in your room. Come experience our beautiful resort and begin to build your own memories and traditions. "Very clean, very friendly owners/staff, and adorable cabins! First time here but, we will be back." With miles of lakeshore and lots of coves nearby can choose to venture out or stay in and enjoy the peacefulness of the resort. Either way, the pristine waters and the gorgeous landscape on our side of the lake can’t be beat. We have cabins available to accommodate groups of all sizes. 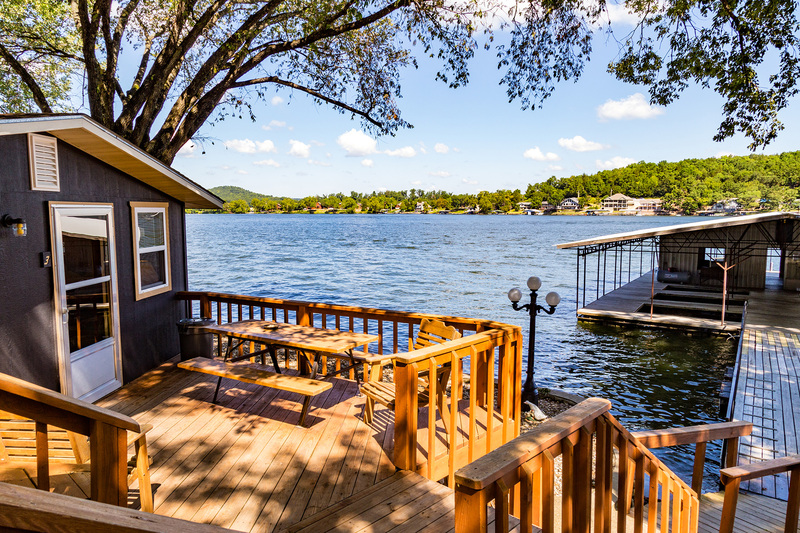 Each cabin is bright, clean, and equipped with all the essential amenities and comes complete with a full-sized barbecue grill, picnic tables and easy access to the lake.